Home » News Apple » Apple prepping iOS 7.0.3 for launch? Apple prepping iOS 7.0.3 for launch? Apple pushed out iOS 7.0.2 last Thursday, but version 7.0.3 is already being tested for release, at least according to blog site Boy Genius Report. Citing information from unidentified sources, BGR said on Tuesday that Apple has already seeded iOS 7.0.3 to employees and partners for final testing. The exact launch date is uncertain, but BGR said it believes the new version will roll out sometime next week. 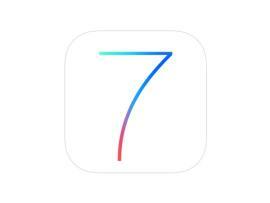 After releasing iOS 7 on September 18, Apple deployed iOS 7.0.1 for the iPhone 5C and 5S and 7.0.2 for all iOS 7 devices. The latest version fixes a bug that allowed someone to circumvent the lock screen passcode. What new features or fixes might iOS 7.0.3 offer? Well, there may still be bugs to squash. A YouTube video posted on Sunday purports to show someone gaining access to the keypad on an iPhone running iOS 7.0.2 by tapping into the emergency call feature. Some iOS 7 users have also reported trouble sending or receiving SMS messages via iMessage, a problem that persists in version 7.0.2, according to AppleInsider. Apple may then jump straight to iOS 7.1 when it unveils new iPads, which is expected to happen at a launch event sometime this month.